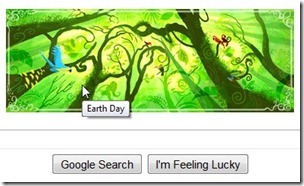 Have you noticed how Google changes the header image on its main search page from time to time, to mark certain special days (Earth Day, for example)? Smart idea! And nonprofit blog writers can profitably tap the same source of inspiration for blog post ideas. In fact, you might want to grab a pen and piece of paper right now, to be ready to jot down any ideas that come to mind – don’t let inspiration slip away, the way Time itself has a habit of doing! First, let’s think about where we are in the year. Could this season or this month offer a thematic link with your mission? For example, February is associated not only with Valentine’s Day romance but, logically enough, also with the Heart & Stroke Association and other nonprofits working in the area of heart health. May is Red Shield Month for the Salvation Army, but it also suggests “May flowers” to many North Americans – if your organization works for the environment, for example, or is fundraising to build a garden for a women’s shelter, it’s a gimme to make the connection. See where we’re going with this? Brainstorm for blogging ideas sparked by the season – Spring, right now, for those of us in the northern hemisphere – or for a particular month. (Tip: try an image search or browse photos with Flickr tag clusters to get your imagination in high gear.) Take a few minutes to scratch down one quick blog post idea for each month of the year. From the official and global (United Nations’ "International Year of Biodiversity" for example) to the local (county fairs, election days, school graduations) to the frankly silly (“Talk Like a Pirate Day,” anyone?) --- the calendar is full of special dates that might conceivably have a tie-in with your mission. Churches often look to the liturgical calendar for blogging inspiration, of course. And there are an endless number of special days that can serve as writing prompts for both faith-based and secular nonprofits. The United Nations Days, Weeks and Years are the awesome Earth Calendar are good places to start, and greeting card companies can be relied on for a huge list of holidays that you know are likely to be well-advertised! Google has lots more…. Look over a few lists of special dates and see what blog topics they might suggest to you. Who isn’t secretly fascinated? The past can be a rich source of blog post ideas. And as writing prompts go, this one is often particularly well-suited to a nonprofit blogger, especially if your organization is focused on social change, public health issues, education reform, any issue where there’s progress to be measured against the milestones of history. Speaking of history, don’t forget about the key anniversary dates within your own organization! Is there a special event coming up for your organization or one of its members? The anniversary of an significant milestone for your sector or community? A recurring fundraising campaign you know will be happening? Make note of any special days for your organization or sector – there’s good blog fodder in those dates! If there’s a conference on your calendar, for example, you can start blogging about it well in advance, to generate excitement (and registrations!) among your members and supporters, as well as “covering” the Big Day itself. You might even consider “live blogging” a particularly big event, with a series of short photo-illustrated posts for the benefit of those who can’t attend. And then there’s the wrap-up: lessons learned and highlights, reporting to your members and donors on the results of your event (goes to accountability, as well as blog content) – and all of a sudden, you’ve got a whack of spots filled in on your blog editorial calendar! You do have a blog editorial calendar, don’t you? Print yourself out a year’s worth of blank calendar pages – or set up an online calendar, if you prefer. Even a simple spreadsheet will do nicely. The form doesn’t matter. What’s important is that this document will be dedicated to your nonprofit’s blog. You’ll be using it to plan ahead for more effective time management and to help chart the progress of your blog – separated from all the other things you need to keep track of from day to day, so you can see at a glance what’s going on and what you need to do next. Pencil in the ideas you’ve just brainstormed. As fresh ideas come to mind -- and any time your organization adds a new event to its schedule -- pencil those in, too. At the beginning of each week, or at least at the start of each writing session, look over your calendar to see what special days are coming up and the ideas you’ve noted for each. Pick whichever topic makes you feel most excited about the messages you’ll have for your members – and start blogging! And there you have it. An hour of brainstorming, then just a few minutes here and there for updating your “special days” notes as you go along, and you’ve got a year’s worth of blog topic ideas at your fingertips. Has your nonprofit blogging been inspired by a special date on the calendar, lately? Share a link in the comments and tell us all about it! Excellent concept, Rebecca. Well done! Excellent Rebecca - I try to do some seasonal posts and keep up with certain holidays and events. I don't have a formal editorial calendar but I post 4 times a week every week, they are usually done in advance and I almost always know what the posts are going to be. Occasionally something comes up so I shift things around. I'm a big fan of scheduled posts - they are all scheduled. Thanks for this post! It is tough to keep a blog going as a volunteer organization, with only one person doing social media type activity. After reading this, I invited the steering committee members to each to submit one post a month -- they are smart folks with a lot to say. One post a month shouldn't be too hard. We'll see! Kim, you're wise -- writing a few posts in batches, rather than scrambling to find something to write about every few days, really is an efficient use of blogging time: I suspect that's one reason why you're able to maintain a strong blogging schedule as you do. But, yes, every editorial calendar needs to be flexible, too - Life has a way of throwing monkey wrenches at good intentions, and it's good to be able to take advantage of "breaking news" and unexpected events as well. I have a bicycle advocacy blog. By accident, I stumbled on a series of blog posts that consider the human, sometimes humorous side of advocacy, rather than the irate activist side that seems to sink a lot of blog posts in obscurity. I added a Bouillabaisse Bicyclist Restaurant Critic section to the blog to point out bike-friendly restaurants with good food. Good grief, I love to eat, I love to write, and I love to bike. It's a match made in heaven. Now I'm trying to edit them down to shorter, more frequent (several times a week) to maintain reader interest and hopefully to keep from gaining 400 pounds from all the good food! Thanks for a great website that helps us fledgling nonprofits out the pit and doldrums. This is such great advice! Even in my personal blog, I often draw a blank trying to come up with interesting content. I love the idea of planning ahead for certain themes. Not only is there already a topic to approach, but it's on a timely schedule that you can manage your time for. I will definitely be using this in my personal and professional life. Pardes and Nicole, glad to be able to help! It's funny how a bit of structure can actually make it easier to carry out a "creative" activity like blog post writing, isn't it? It's also good to make a list of twitter people you follow, the ones that always give you ideas for blog posts or conversations you'd like to have on your blog. One thing that works for me is to be always reading something related to my field (nonprofit fundraising) and then use blog posts to talk about how I am interacting with what I'm reading. I'm reading Referral Engine, and Dan Pallotta's Uncharitable, as well as Naomi Klein's No Logo, and it's making for some very interesting posts. But instead of looking outward, look inward sometimes too. It's good to post on current events, but it's also important to remember that the real book is inside of you. That means write about what you're passionate about, even if it's not totally on topic for your blog. You might be pleasantly surprised that it becomes one of your hottest blog posts. For instance, I was having trouble deleting my yahoo search engine marketing account, and then I found the resource that told me how to do it. Then I posted on my blog about how to do it. Without fail, once or twice a month, someone who is looking for that information finds my blog. And I'm glad to be able to offer that service for them, in a small way. Ask yourself what it took you a long time to figure out how to do, and then ask, "Could I post this on my blog so others could benefit from this?"